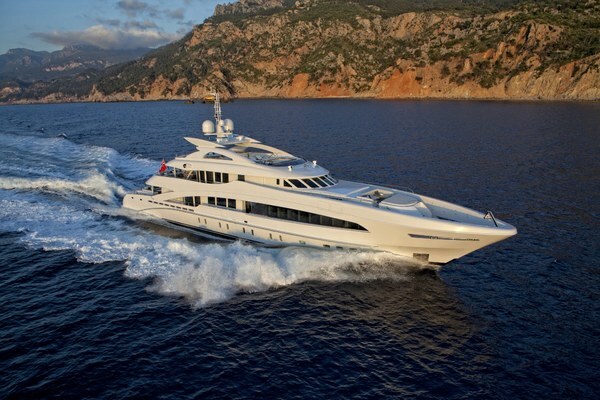 The Superyacht O’NEIRO is spacious, lavish and luxurious. Her layout is superb with the main aft deck facing the entrance into the salon and with staircases both to the left and right leading externally up to all decks. The extravagant salon instantly captivates you, with her quality oak and maple floors and elegant rugs, accompanying her exquisite furniture all surrounded by zebrano wood and wonderful large windows giving ample natural light. For your dining pleasure there is a beautiful wooden table comfortably seating twelve with a choice of comfy cushion director chairs and couches where guests can enjoy the delicious gourmet dishes prepared by the distinguished Chef and served by the elite crew. Prior to entering the Master cabin, on the left, is the stair-case leading down to the rest of the cabins. And, on the right, a door allowing embarkation and disembarkation of passengers from the starboard side. There are three great twin cabins and a superb VIP cabin. The twin cabins have Pullman berths and ensuite facilities with hand basin and shower. All have Satellite TV, DVD, CD and Stereo System. United Yacht Sales New Jersey would love to guide you through a personal showing of this 172' Golden Yachts Motor Yacht 2008. 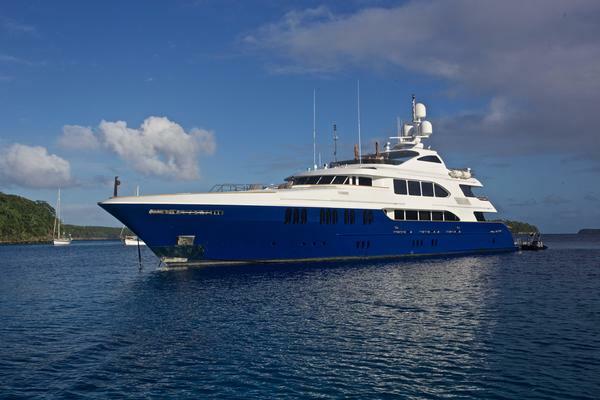 This yacht for sale is located in Athens Greece and priced at $17,400,000. For a showing please contact us by filling out the form on this page and we will get back to you shortly! 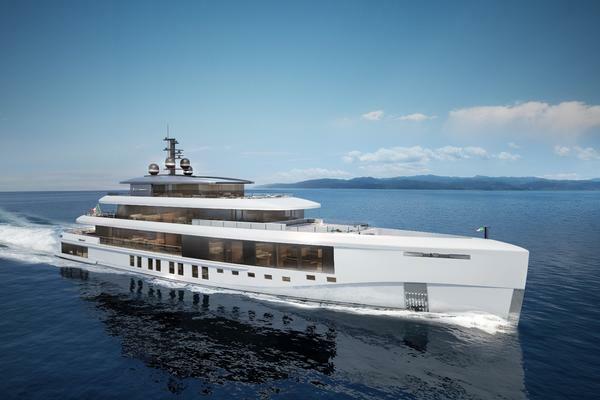 The Superyacht O’NEIRO is spacious, lavish and luxurious. Her layout is superb with the main aft deck facing the entrance into the salon and with staircases both to the left and right leading externally up to all decks. The extravagant salon instantly captivates you, with her quality oak and maple floors and elegant rugs, accompanying her exquisite furniture all surrounded by zebrano wood and wonderful large windows giving ample natural light. For your dining pleasure there is a beautiful wooden table comfortably seating twelve with a choice of comfy cushion director chairs and couches where guests can enjoy the delicious gourmet dishes prepared by the distinguished Chef and served by the elite crew.Prior to entering the Master cabin, on the left, is the stair-case leading down to the rest of the cabins. And, on the right, a door allowing embarkation and disembarkation of passengers from the starboard side. There are three great twin cabins and a superb VIP cabin. The twin cabins have Pullman berths and ensuite facilities with hand basin and shower. All have Satellite TV, DVD, CD and Stereo System. SAT COM: Thrane & Thrane type F55Router: Linksys for 3G connectionCommunication Server & Ethernet Network: NM communication rack mount navigation server - 6xRS 232.Network Administration: GPRS1, GPRS2 and 3G connection handling. F55 data connection handling.PABX: KX-TDA30FR Panasonic with 8 external lines and 24 entension lines. Door phone intercom. 20 x telephone set. 2 x KX-T7630. Fax machineTelephone System: GSM (Voice-Fax-Data)VHF: 2 x Furuno, FM8800 A Class VHF/DSC with interface for remote station.Transceiver: (Furuno) MF/HF transceiver unit, control unit and handset, FS 1570Receiver: (Furuno) NX-700P NAVTEX ReceiverFURUNO NX-700P INM-C. Consists of Felcom-15 built- in GPS and printer.Cellular Phone System: Primary by Sagem, type GSM Connection to PABX for tel/faxConnection to communication server for GPRS data and internet access to boat's network.Public Address System: Praesideo Bosch, consists of central unit, network amplifier, controller, waterproof speakers.Loud Hailer: Phoneteck, up to 10 station, 6 x station.Office: 2 x laptop computers, 1 x JP printer photocopier, 1 x Sat fax FacsimileRadar: Primary SIMRAD, type RA-85, consisting of processor's unit, control unit, transceiver, 19 inch dimmable to black monitor.Radar: Secondary SIMRAD, type RA-84, consisting of processor's unit, control unit, transceiver, 19 inch dimmable to black monitor.Gyrocompass: SIMRAD, type GC-80, consisting of master compass, sensitive element, control unit, 4 x NMEA output, 1 x stepper output.Automatic Pilot: SIMRAD, type AP-50M, consisting of control unit, junction unit, rudder feedback, rate fluxgate compass for backup use.Steering Lever: (Port & starboard wing station) SIMRAD FU-50. SIMRAD R135MKII. SIMRAD IS-15 multi-purpose display, displays depth, speed, wind, temp, GPS anchor and swallow alarm info. FURUNO VHF/DSC repeater.Multi Data Repeater: SIMRAD IS-15. Located in the crew mess and captain's cabin. Depth, speed, wind, temp and GPS.GPS - primary and secondary: Furuno, type GP-160Navigation Instruments: TRANSAS, type NaviSailor 3000ECS-i consisting of rack mount navigation server, flush mount trackboard, ARPA module, AIS module, Navtex module, See Trac interface, 19 inch dimmable to black monitor.Data interface: NM-422 NMEAAIS: ACR X-Pack DSNavigation Lights: Norse lightsEcho Sounder - Primary: FURUNO FE-700Echo Sounder - Secondary: FURUNO FCV-620Speed Log: FURUNO, type DS-80Weather Station: FURUNO, type PB-100, consisting of wind speed & direction indication, barometric pressure, air temperature. Satellite TV: SEATEL, Model C20E satellite TV systemMaster Cabin: S.101 AV surround system, subwoofer, built-in CD/DVD/MPE player, digital receiver, navigation screen playback, i-pod ready, infrared controller.VIP Cabin: 3 x S.101 AV surround system, subwoofer, built-in CD/DVD/MP3 player, digital receiver, navigation screen playback, i-pod ready, infrared controller.Guest Cabins: 3 x S.101 AV surround system, subwoofer, built-in CD/DVD/MP3 player, digital receiver, navigation screen playback, i-pod ready, infrared controller.Main Salon and Aft Deck: AVR-3806, channel receiver, surround system, DVD-1730, digital receiver, infrared controller, LCD 42 inch TV.Upper and Aft Deck: AVR-3806, DVD-1730, digital receiver, infrared controller, LCD 42 inch TV.Crew Mess: S.101 AV surround system, subwoofer, built-in CD/DVD/MP3 player, i-pod ready, infrared controller.Crew Cabins: 5 x Pioneer Radio/CD. Teak laid decksCapstans: Steen, 9kW each - port and starboardAnchor Windlass System: 2 x Steen anchor windlasses, 12kW eachAnchors: 2 x Posidonia anchors, 585 kgAnchor Chain: Chains 6 shackles (540ft/164 metres) of 24mm stud linked anchor chain both port and starboard.Boat Crane & Davits: 1 x approved Mor Saverio crane of 1 ton capacity, situated on the foredeck and 1 x Mor Saverio travel lift situated at the garage.Passarelle: 1 x Mor Saverio mediterranean style passerelle, length 7.5m, rotational 15 degrees L/45 degrees RBoarding Ladder: Lowering accommodation ladder situated on the starboard side, rotational 90 degrees L.Swimming Platform: Teak covered swim platform with 2 x electronically operated swim ladder.